Gear needed to get started in training and for your first race. Time and fitness to successfully train for each distance/type of race. Workout ideas specific to the sport. Local resources to help you reach your goals. The coaches will stay for a bit after to answer questions! And there will be a prize drawing! Races available, local and Ironman brand. The difference between a triathlon and road bike. Gear that is helpful for efficiency vs. gear that costs a lot, may help just a bit, but looks cool! Training time required for a half or full iron distance race. General tips on workouts, nutrition, and more for training. 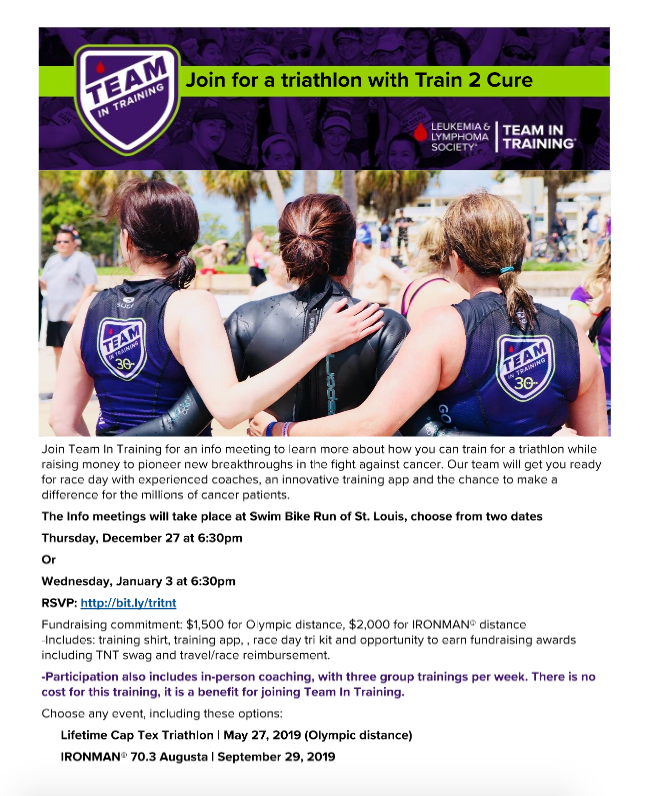 Interested in the Gateway Triathlon Team?